Jeff and I have a lot of things in common when we ride our Harleys. We love the muffled, chortling sounds they make when you’re accelerating, climbing the gears, slowing down. These are not the extremely loud unbaffled shouts some bikes make when the rider is seeking attention. Our bikes are different: as we slalom through the countryside our bikes make the sounds of strength, determination, gratitude and reverence. My bike, maybe a bit more. We love the smells too. I can still remember the sweet scents of confederate jasmine and wisteria I inhaled as I rode around the squares in Savannah on my old BMW. The smell of pine straw burning always brings me back to autumns of my youth. Certain scents take us through the vaulted aisle of memory to moments of our past. The French writer Marcel Proust, the author of “In Search of Lost Time” wrote that “after the things are broken and scattered, taste and smell alone,” remain “like souls, remembering, waiting and hoping…”. Up here in Northwest Georgia I’m attracted more by the alluring scents of wood burning fires, and the wafting aroma from barbecue joints. In some future posts I want to write about the scents -good and ugly- that one encounters on a motorcycle but now I have more serious issues to address. While Jeff and I clearly have riding themes in common, admittedly, we’re going to have a few challenges reconciling our differences in how we like to ride on a trip. For one thing, Jeff’s always in a hurry. He wants to get to the next destination as quickly as possible. To him the trip is not about the journey it’s about speed (fast), miles (lots of),interstates (loves them), destinations, coffee, meals, cigarette breaks, verbally insulting me and looking cool on his bike. (I will admit that he does look cool on his bike.) 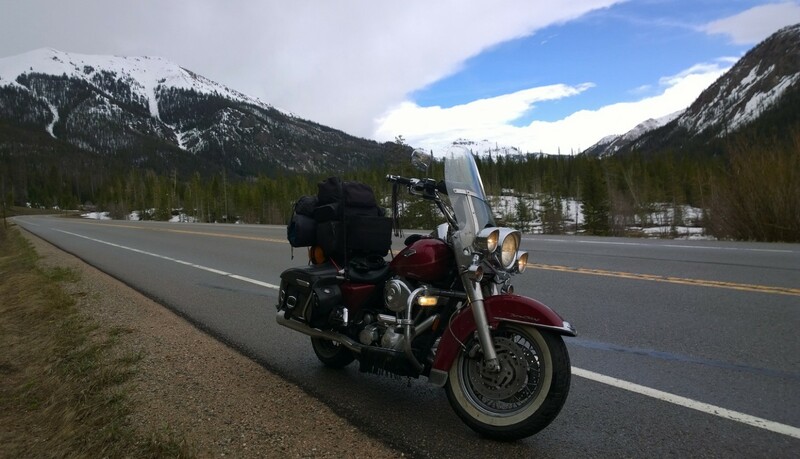 Whereas, my riding philosophy is about taking the back roads, the blue highways as William Least Heat Moon called them, savoring every moment of the journey, getting into that Zen mind, stopping now and again to appreciate the scenery, express gratitude, and to demonstrate loving –kindness for all sentient beings present . I have yet to tell him that I plan to stop frequently in various towns, taking time to visit the florist section of a Piggly Wiggly or a Winn Dixie and buy flowers which I will hand out to people passing by, with special attention to individuals who have been overwhelmed by the exhaust fumes from Jeff’s Harley. This may take some time. Jeff will have to be patient. You can’t rush loving-kindness.